From healthy nestling songbirds to raptors with gunshot wounds, the full spectrum of native avian wildlife could be presented for care at any time by a Good Samaritan. 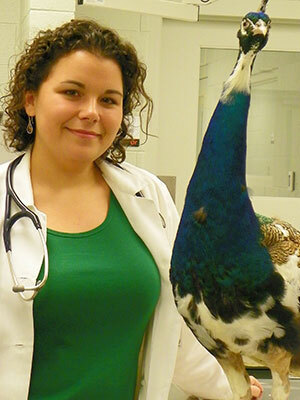 In this talk, the steps to appropriate triage, low stress and safe restraint, and basic stabilizing care for avian wildlife will be described. Regulations applicable to the treatment and rehabilitation of avian wildlife will be briefly outlined. Common presentations such as soft tissue and orthopedic injuries, head trauma, and toxin exposure as well as infectious disease concerns will be discussed.